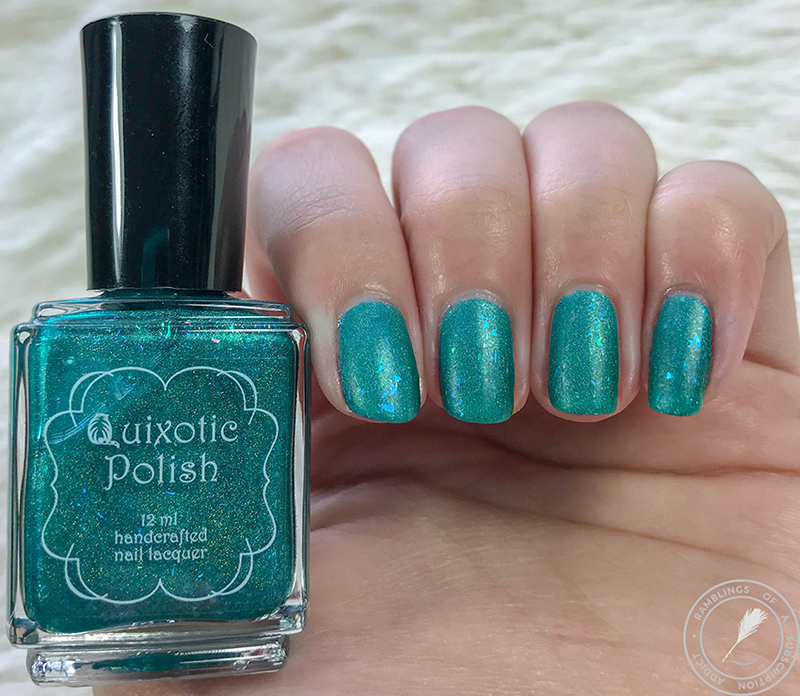 So...remember that time when I told y'all that I had worked through the old bottle style of Quixotic's polishes...I was so wrong. I found a few more bottles that I had grabbed up a while ago. That said, I will eventually have some of the new bottle style. 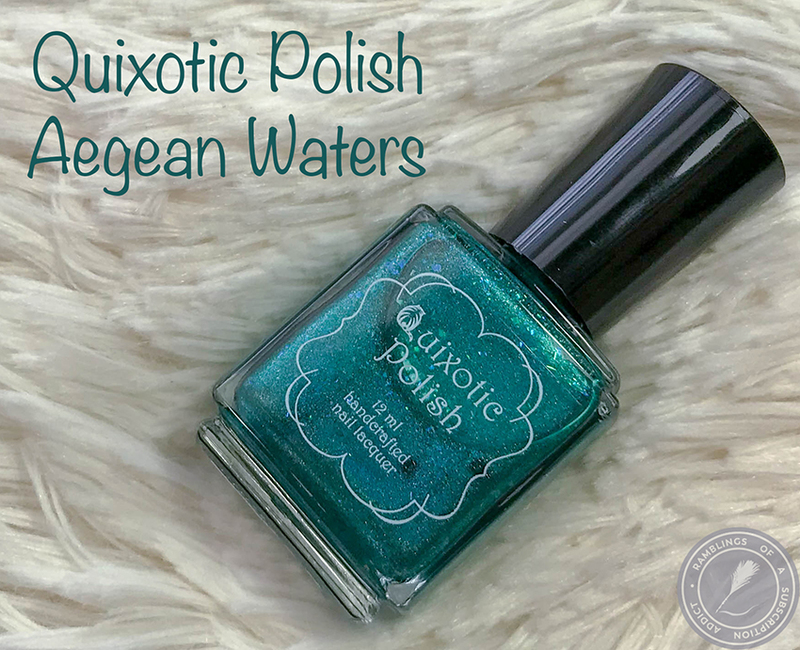 As a bonus, this polish is still available here! 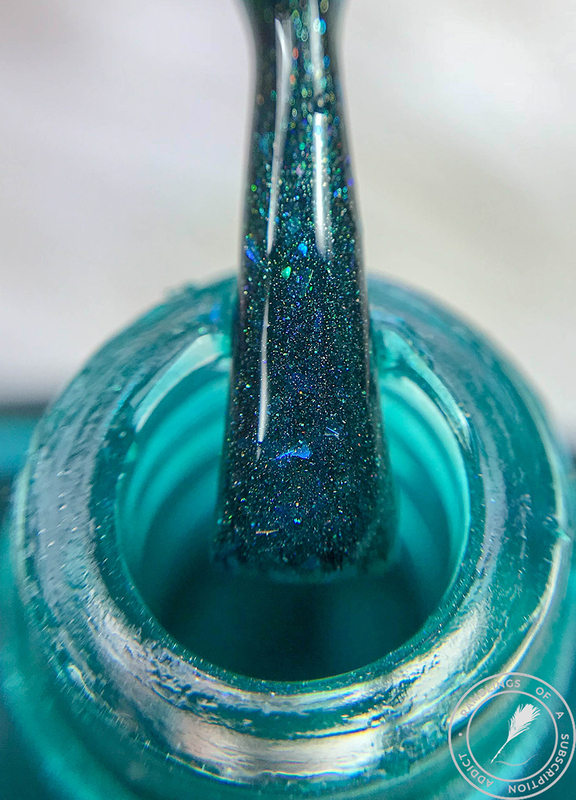 Aegean Waters is a beautiful turquoise jelly with linear holo effect and color shifting flakes. 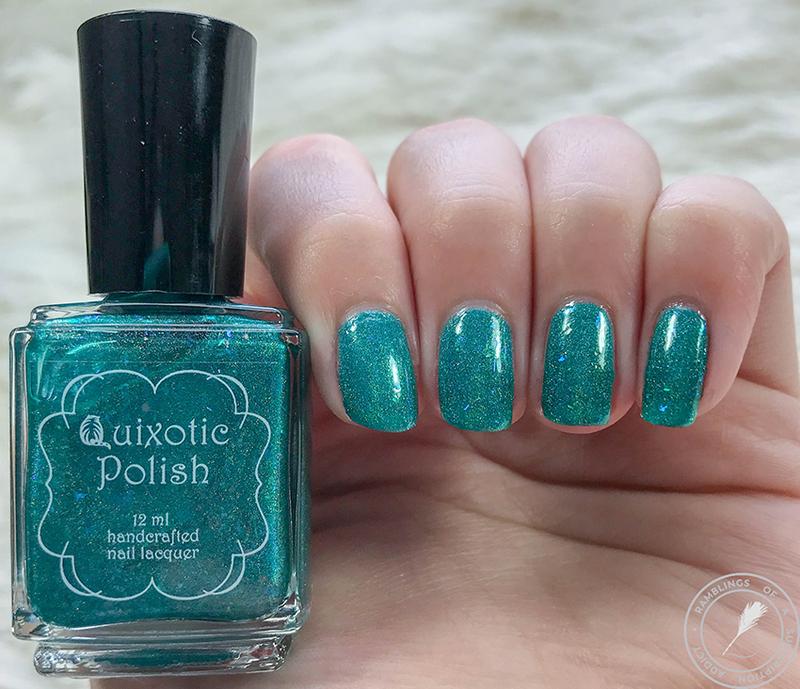 I love everything about this polish. 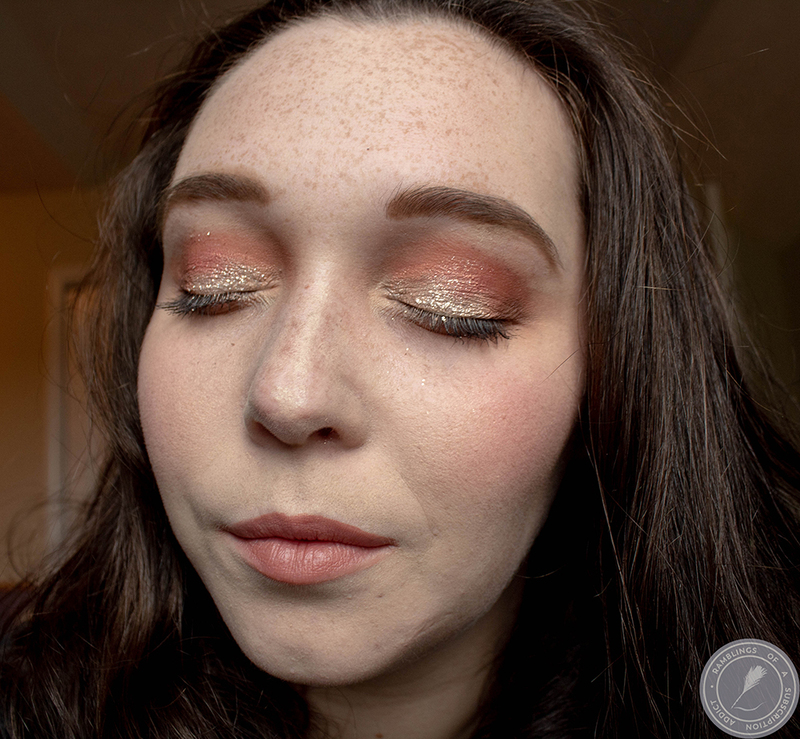 The base shade, the flakies, the holo, it's all perfect. It really does look like the waters of the Aegean Sea. The application was really easy. 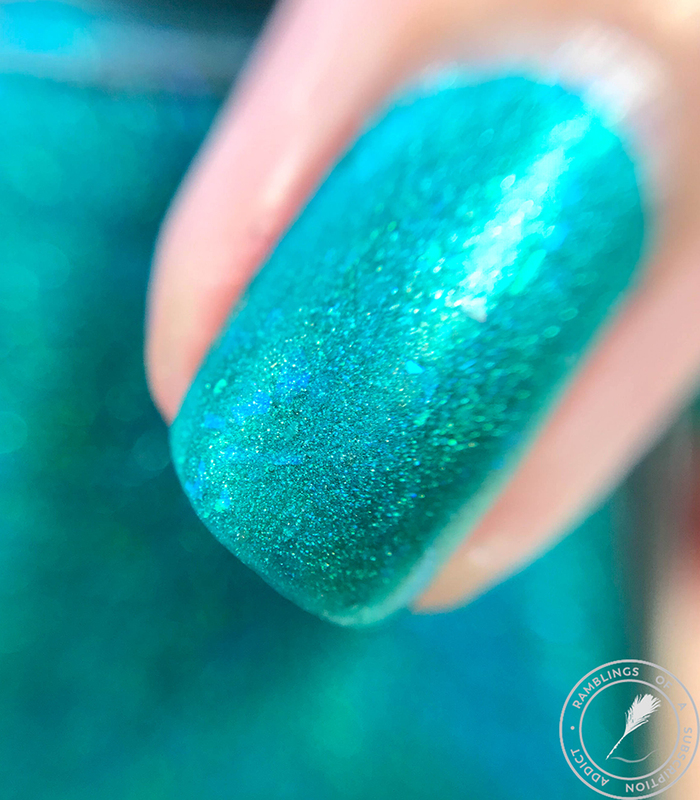 I used three coats and while it did have some texture, it wasn't more than what a top coat required to smooth out. 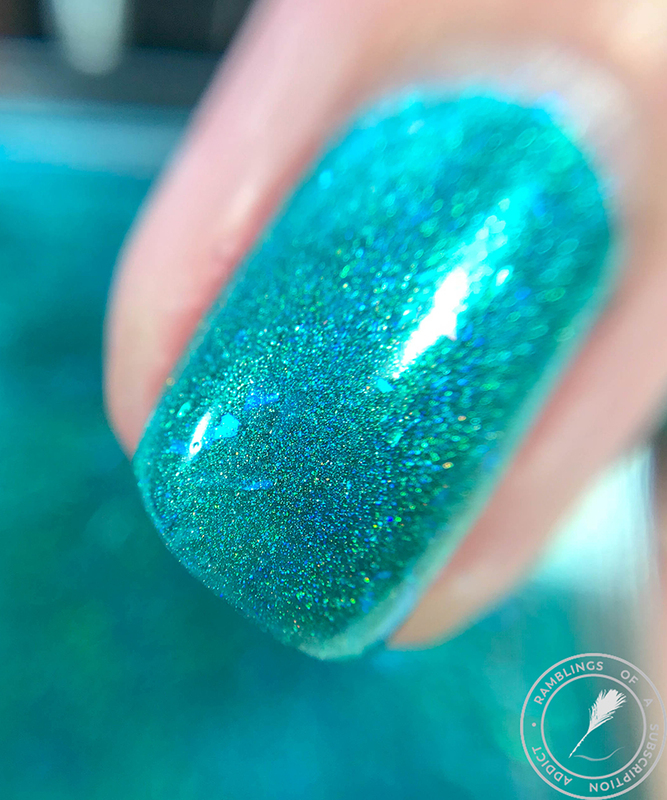 As with all flakie polishes, the flakes come to play with a matte top coat.